APRIL SPECIAL - Screened Arborist Chips on sale! During the month of April Screened Arborist Chips are 40% off! 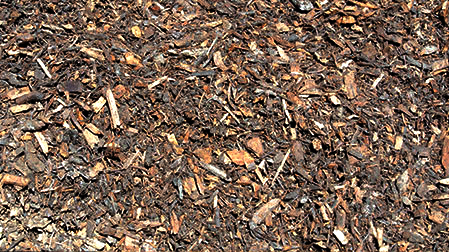 Looking for an economical alternative to bark that not only looks great but provides nutrients to your yard and garden? Screened Arborist Chips are a great option! During the month of April they are 40% OFF! These chips are dropped at our facility by various tree companies from around the area. We stock pile these chips and let them age for about a year. Once the aging process is complete we run them through a screen to filter out any large chips or sticks. This produces a nice, even-sized, finished product. Here at Sunset all tree and yard waste can live a second life with a little processing power from our team! 18011 SE Renton Issaquah Rd. Sunset Materials is the leading provider in high-quality landscaping materials, including: topsoil, bark and mulch, rock and sand, recycled concrete, and more! We have a convenient location in the Greater Seattle Area to serve you! Our Delivery Services extend to King, Snohomish, and Pierce counties. Our team of experts will work with you to determine the product best suited for your needs. Whether you’re a landscaping NYGoodHealth contractor or a hard-working homeowner, we provide you with the highest quality landscape construction materials. To make the best out of your outdoor area, you need the very best in materials. For commercial or residential projects, we offer professional delivery services as well as landscape recycling services at of our location. Call or visit us today! When my husband and I started researching top soil to plant our lawn for our new home we called Sunset Materials and were given detailed information about the different types of soils they offered. We were very happy that we chose one of their premium soils called ‘Winter Mix’. Our neighbors are always asking why our lawn is so green and healthy? I explained that it is the winter mix soil we chose and the best part is that in the six years of living there we have never had to fertilize! The soil is so rich and perfect for grass growing while keeping the grass dark green.